New Orleans is a photographer's dream. The architecture, the greenery, the people ... There's just so much to shoot. So whether you're a casual stroller snapping with your cell phone or a pro lugging a tripod, be ready for astounding photo ops. 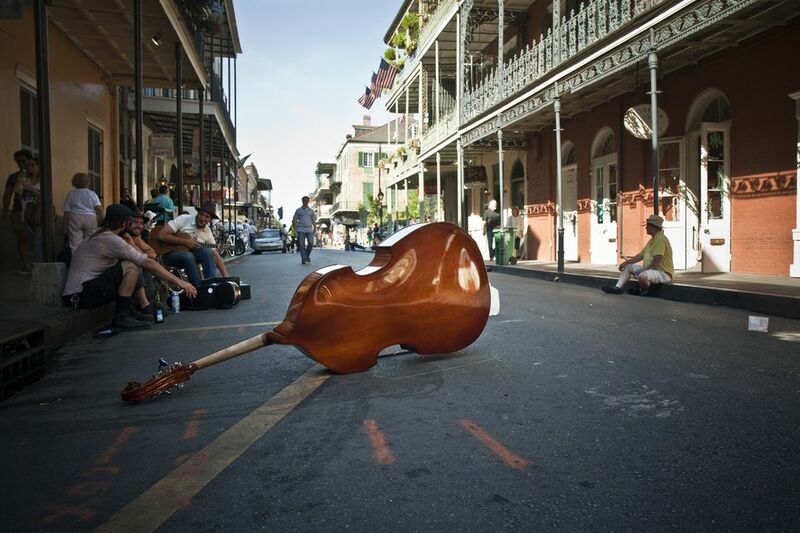 Festivals and Mardi Gras provide countless scenes you'll want to take home. But there's no shortage of photo-ready scenes all over the city on any ordinary day. Watch Your Back: The more heavily touristed areas of New Orleans are quite safe, but, like any tourist destination, they do have their fair share of pickpockets and purse-snatchers. Standing with a camera in front of your face, carefully adjusting the focus for a shot far away, you might find yourself losing sight of your immediate surroundings. This, of course, makes you an easy target. Travel with one or more companions if you can, and just try to keep a good handle on your surroundings if you can't. Watch Your Feet: As tempting as it is to hold your camera up to your face and take a few steps while you focus on something, make sure you really pay attention to where you're going. This sounds like silly advice, but New Orleans sidewalks and streets have significantly more bumps and potholes than a lot of other cities. Tripping and falling with an expensive camera in your hands is not good. Keep Your Lens From Fogging: If you're in town in the summer or on particularly hot days the rest of the year, you'll probably discover the annoying phenomenon of a foggy camera lens, which happens when your camera gets cold in an air-conditioned environment and then gets exposed to the ultra-humid summer day outside. (It happens to eyeglasses, too, though they're easier to de-fog.) The obvious solution is to just wait it out for a few minutes: the lens will warm up and the fog will disappear. If you can, though, try to keep your camera warmer rather than cooler (by keeping your hotel thermostat at a more normal temperature, for example, rather than freezing) and getting outside into the warmth several minutes before you are planning on shooting, especially if you're on a timetable. Be Respectful: This is common sense, but, if you're taking pictures of people or their homes, do so respectfully. This is particularly the case in poorer neighborhoods. If you choose to go on a tour of Katrina-devastated neighborhoods, think about some of the reasons that poverty and disaster tourism are controversial, and keep them in mind if and when you choose to take photos. Architecture: Look for Creole townhouses with their distinctive wrought-iron balconies and Easter-egg-colored Creole cottages as well as landmark buildings like the sparkling white St. Louis Cathedral, the Cabildo, and the Old Ursuline Convent. People: Take a stroll around Jackson Square to take pictures of street performers, and you'll find plenty of characters on Bourbon Street as well, especially in the evening. More: If you're looking to take a picture of an elegant plate of food, the city's old-line restaurants, most of which are found here, will fix you up nicely. If the water is more your thing, head over to Woldenberg Park and take some pictures of the mighty Mississippi. If you're alone or if you're entirely new to the city, consider taking a tour of the French Quarter, which provides you a twofold benefit: someone to show you around and a group, so you'll feel safer about staring through your lens the whole time. Pick a tour that suits your interests, or take a photography-specific tour with American Photo Safari, an award-winning tour company whose tour guides are all professional photographers. 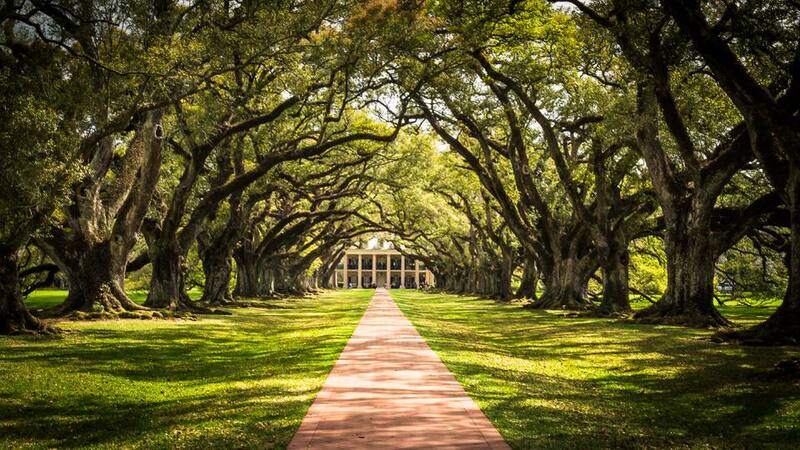 If you're interested in photographing architecture, The Garden District is a must-visit. The architectural styles of the opulent and ornate mansions and churches in the neighborhood include the classic ​double gallery house, as well as a variety of Victorian styles. Be sure to zoom in on some of the unique details on the different houses (and their fences, especially in the case of Colonel Short's Villa); they often provide a clue to the hobbies or professions of the people who built them. For an easy self-led trip, buy a single-day Jazzy Pass from the driver of the St. Charles Avenue Streetcar and hop on and off when you see houses or vistas that catch your fancy. New Orleans's cities of the dead are the permanent resting place of almost 250 years' worth of the city's deceased. The graves and crypts in various cemeteries feature some of the most elegant stonework, statuary, and stained glass that you'll see anywhere in the world, alongside crumbling bricks and old fallen headstones. Lafayette Cemetery No. 1 is reasonably safe, and you can loop a quick self-guided tour in with a trip to the Garden District, where it's located. However, if you're planning on visiting Metairie Cemetery, the fabulously eerie St. Roch or any of the St. Louis cemeteries, consider going with a group or taking a guided tour; these areas can be havens for pickpockets and muggers. ​Save Our Cemeteries is a New Orleans non-profit that both runs historically rich cemetery tours and works on cemetery restoration. At 1,300 acres, City Park is New Orleans's largest green space. It's nestled along Bayou St. John and includes most of what once was the Allard Plantation. City Park was heavily wind-damaged during Hurricane Katrina and then nearly destroyed during the flooding that followed, which left the entire expanse of the park under several feet of chemical-laden salt water for nearly a month. The park has once again come into regular use as a playground for both locals and visitors. Full of attractions and natural vistas, it's a great place to bring a camera. Art: The Besthoff Sculpture Garden, an outdoor extension of the New Orleans Museum of Art, offers a variety of works from both internationally renowned artists and some local works in a permanent outdoor installation. There are also several historic pavilions, fountains, and buildings on-site, as well as a dozen of 1930s WPA-era art deco sculptures by Enrique Alferez. You might also enjoy taking pictures of the statues at Storyland, a fairy tale-themed playground with statuary designed and made by the folks at Blaine Kern's Mardi Gras World. Nature: The world's largest stand of live oak trees is found here (you'll recognize their Spanish moss-draped branches from every New Orleans-based movie you've ever seen), as are a network of lakes, streams, and lagoons that are home to water flora, fish, and water birds. Nature photographers will also enjoy the botanical gardens and the arboretum, which is home to a variety of songbirds and other animals. Note that if you're doing a commercial photo shoot in City Park (that is, a bridal shoot or a family portrait session), you need a special photography permit, which can be obtained from the City Park office. If taking pictures of people (especially musicians) is your favorite kind of photography, New Orleans is the city to be in, and Frenchmen Street is the place to go. This stretch of the city (centered in the 500 and 600 blocks of Frenchmen), which lies in the Faubourg Marigny, just across Esplanade from the French Quarter, is arguably the coolest neighborhood in the world. By day, it's a brightly painted street scene, chockablock with sidewalk cafes populated by cool people, artists making art, buskers making music, and general liveliness. By night, it lights up with local and national bands in a dozen different bars and clubs playing every conceivable genre of music: lots of jazz, of course, but also zydeco and Cajun, Latin, rock, folk, and punk. If you're a fan of the TV show "Treme," you'll recognize a lot of these clubs as shooting locations, and chances are you'll recognize some of the faces in the stages too. Stroll the street and pop in wherever the sounds catch your fancy and snap away. How Can You Find Streetcar Rides in New Orleans?